Ilias Tsiakas is Professor of Finance at the University of Guelph. He was previously Associate Professor of Finance at Warwick Business School in the UK, and Director of the Warwick PhD program in Finance. He has also been a Visiting Professor at the University of Toronto. Ilias is an active researcher in asset pricing, international finance, financial econometrics, and climate finance. His research has been published in leading finance journals, including: Journal of Financial Economics, Review of Financial Studies, Journal of Banking of Finance, Journal of International Money and Finance, Journal of Financial Markets, Journal of Financial Econometrics, and Journal of Financial Research. 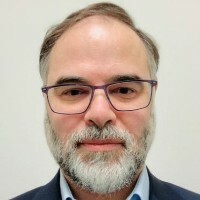 His research has also been summarized in various practitioner outlets such as The Financial Times, The CFA Digest and in leading research websites such as VoxEU.org and Economonitor.com. Ilias currently holds a 5-year research grant from the Social Sciences and Humanities Research Council of Canada (SSHRC) to study the role of global financial markets in regulating carbon emissions.